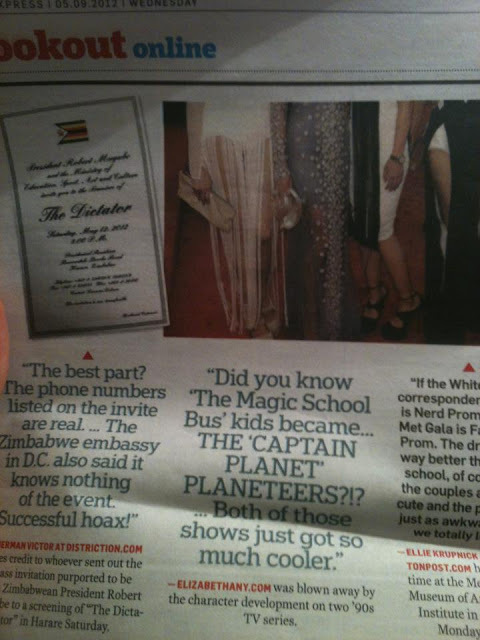 love, elizabethany: a piece of me in the DC "Express" paper! a piece of me in the DC "Express" paper! This is pretty exciting! My friend Tim sent me a picture of my quote from the Magic School Bus/Captain America post in the Washington Post Express paper in DC! It's the paper you see a lot of people reading on the Metro. I like a lot of their stories, and they've featured tidbits from me before, but I think it's been a while... so it feels damn good to be right beside Huffington Post and a tweet from Conan O'Brien. Just when I thought that post couldn't get any neater, it just did. Thank you to the Washington Post Express for supporting me!